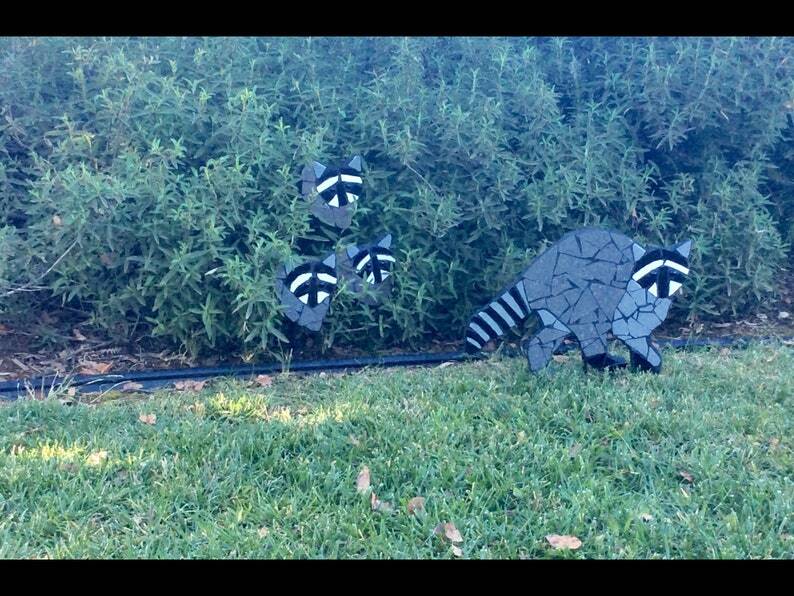 The raccoon is a one of a kind outdoor yard sculpture that will get plenty of smiles, conversation and admirers. If you have ever been visited by a raccoon, you know they can be rather sneaky and determined. This sculpture has none of those qualities as he sits still and shows it's pretty colorings with a playful pose. This listing is for the full size raccoon. The baby heads are $25 each and free shipping with purchase of full size raccoon. Tell me how many babies you want and I will add it to your order. Dolphinsbycindy always does such an awesome job with the making and packaging of the items I buy! 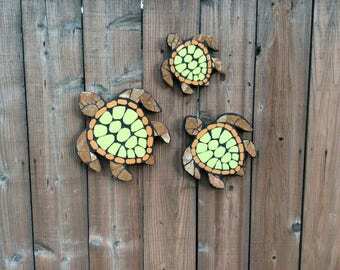 I get them for my mom and she always adores them! They look great wherever she puts them, and they are always so unique! This fox looked great in the pictures on Etsy, but it looks even better in my yard! Seller did a wonderful job with the packaging of the item. I received my 6 tropical fish this week. Better than expected. Quality of Cindy's work is outstanding. Will order from Cindy definitely again. Thank you! Refunds processed when product is returned. I stand behind my product 100% for normal wear and tear. If the product arrives damaged I will replace and deal with the claims process of UPS. I package everything like it is China so I have little breakage but it does happen. I use UPS ground shipping for all small items. I will ship within 2 days of product that is in inventory. Products that are made to order take up to 2 weeks to make for small items (24" or smaller) and 3-4 for large items.